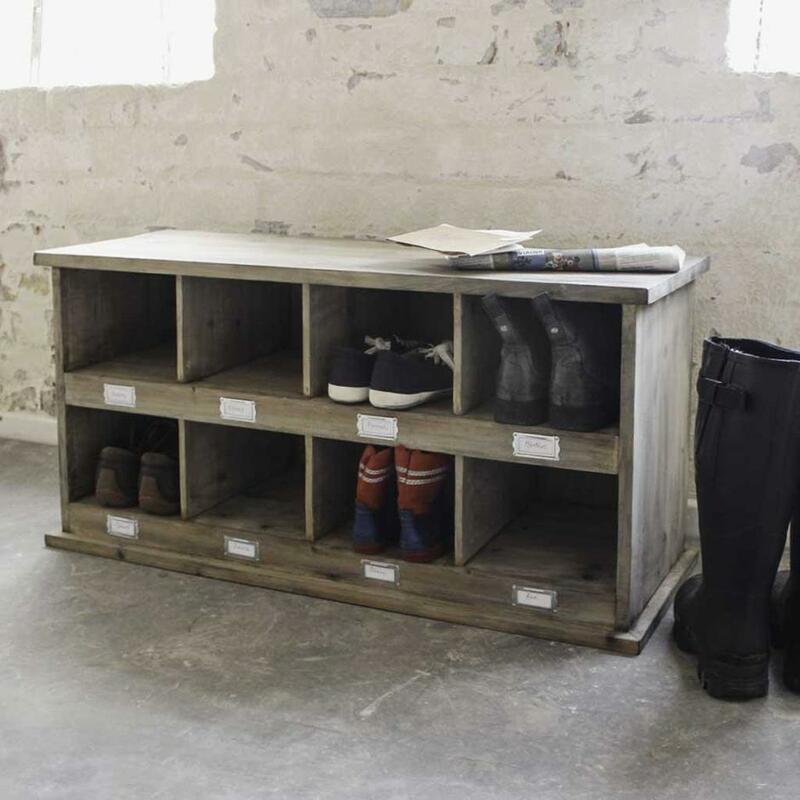 Inspired by traditional school lockers, this vintage style shoe tidy is a neat and tidy way to store all those stray trainers, gardening clogs, and even wellies for the mini members of the family. 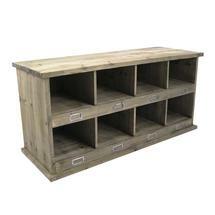 Made from spruce, it provides plenty of shoe storage, with eight compartments each having a name label space. 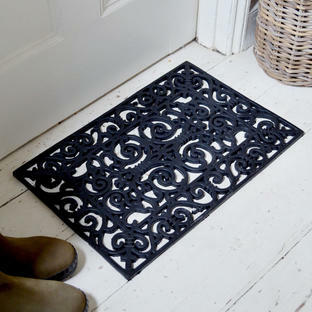 A practical addition to any hallway, boot or utility room.